Artemis Literary Sources allows you to research authors and their works, literary movements and genres. Search across your library's Literature databases to find full text of literary works, journal articles, literature criticism, reviews, biographical information and overviews. Biography in Context is an engaging online experience for those seeking contextual information on the world's most influential people. This collection provides access to full-text, indexed and abstracted biomedical research journals, covering a broad range of disciplines, including medicine, dentistry, veterinary medicine and pre-clinical sciences. The Business Source Complete is EBSCO's highly focused user interface created especially for the business searcher. Business Source Complete provides an easy way to both browse and search for country economic data, company profiles, industry information and market research. Search our Chilton Library Online resource to find information you need about fixing your vehicle. Access the reference database with your library card for free. The Education Resource Information Center (ERIC) provides access to educational literature and resources. Gale Virtual Reference Library is a source for encyclopedias and specialized reference materials for multidisciplinary research. These reference materials once were accessible only in the library, but now you can access them online from the library or remotely 24/7. This complimentary research resource provides scholarly, government and general-interest sources covering the environmental effects of individuals, corporations and governments and what can be done at each level to minimize negative impacts. Health Business Full Text provides full-text coverage of more than 130 well-known administrative journals, including H&HN: Hospitals & Health Networks, Health Management Technology, Modern Healthcare and many others. Find alternative medicine-focused magazines, journals, newspapers, definitions, directories, videos, & reference information on: Medicine, Nutrition, Diseases, Public Health, Pregnancy, Herbal remedies, etc. Included are links to diet, cancer, health assessment sites & government databases. INSPIRE is a collection of academic articles and consumer information accessible to Indiana residents. Find journal, magazine, and newspaper articles on education, business, government, health, and more. LitFinder provides access to literary works and authors throughout history and includes more than 150,000 full-text poems and 800,000+ poetry citations, as well as short stories, speeches, and plays. It also includes secondary materials like biographies, images, and more. This resource contains full text for popular high school magazines covering a wide-range of subject areas including history, science, careers and more. This resource provides full-text for many of the most-used biomedical and health journals indexed in MEDLINE. The McClatchy-Tribune Collection includes a 90-day archive of approximately 290 newspapers from the McClatchy-Tribune Information Services. This resource is updated daily. This resource contains full text for popular middle school magazines, full-text biographies and historical essays. In addition, it includes primary source documents, reference books and a vast image collection. This resource provides cover-to-cover full text for more than 40 national (U.S.) and international newspapers. In addition, it offers full text for more than 300 regional (U.S.) newspapers as well as television and radio news transcripts. Nursing and Allied Health Collection provides access to academic journals and other reference content covering all aspects of the nursing profession, from direct patient care to health care administration. 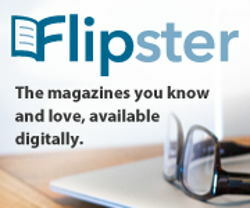 This database contains full text for popular children's magazines, easy-to-read encyclopedic entries and a vast image collection. This resource provides a highly specialized collection of electronic information especially for educators, professional librarians and education researchers. This resource provides ultimate coverage for full-text business publications, on a regional level, for the United States and Canada. Science in Context is an engaging online experience for those seeking contextual information on hundreds of today's most significant science topics. Taking a college entrance or licensing exam? Looking for a college or graduate school? Need help finding scholarships? Use this resource to search thousands of college and graduate school entries. Identify scholarships that meet their financial needs. Take on-line practice tests and use test prep eBooks to obtain your education goals. Thousands of legal forms are available with more forms being added daily. Official, State Specific, Federal, Business, Personal, Real Estate and General forms covering hundreds of legal subjects and issues.